New Delhi : President Ram Nath Kovind, Vice President M. Venkaiah Naidu and Prime Minister Narendra Modi on Monday greeted former Prime Minister Atal Bihari Vajpayee on his 93rd birthday. "Birthday wishes to our much-loved and respected former Prime Minister Shri Atal Bihari Vajpayee," Kovind tweeted. 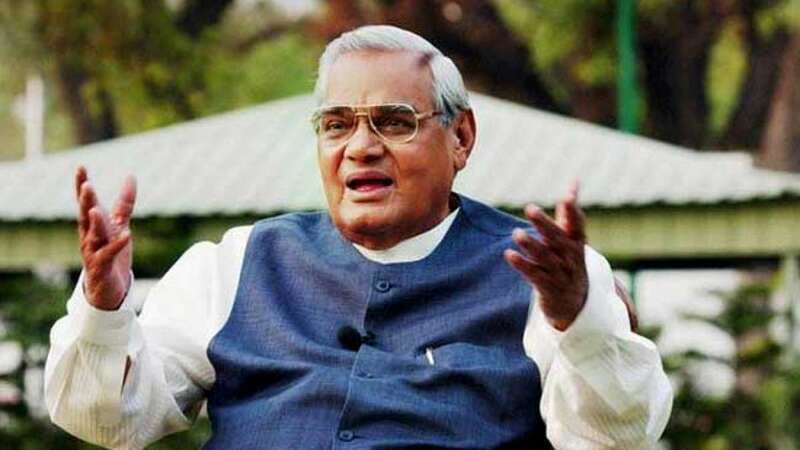 Naidu said: "Convey my heartfelt greetings to Bharat Ratna, Shri Atal Bihari Vajpayee ji, on his birthday, today (Monday)." "Birthday greetings to our beloved Atal Ji. His phenomenal as well as visionary leadership made India more developed and further raised our prestige at the world stage. I pray for his good health," Modi said in a tweet. Congress Party also greeted birthday wishes to Vajpayee and tweeted: "We wish former Prime Minister Atal Bihari Vajpayee a very Happy Birthday." Born in the family of a humble school teacher on December 25 1924, in the erstwhile princely state of Gwalior in Madhya Pradesh, Vajpayee served as Prime Minister from March 19, 1998, to May 22, 2004, and for a short period in 1996. "On his birth anniversary, my homage to freedom fighter, educationist and nation builder Mahamana Madan Mohan Malaviya," Kovind said. In his tweet, Modi said: "Remembering Pandit Madan Mohan Malaviya on his Jayanti. His impact on India's history is strong and unforgettable. His efforts to further education and a spirit of patriotism will always be remembered." Mahamana Pandit Madan Mohan Malaviya, an educationist and politician notable for his role in the independence movement was born on December 25, 1861. He died on November 12, 1946.